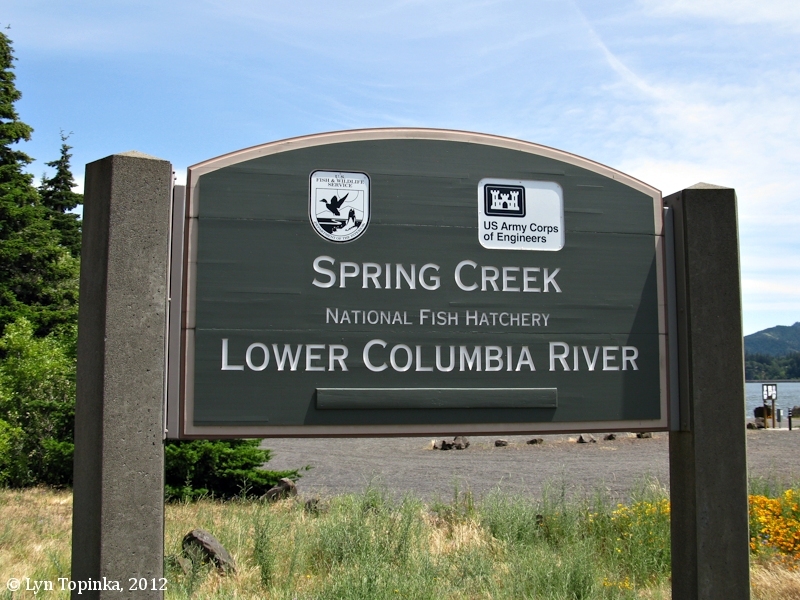 "Spring Creek and Spring Creek National Fish Hatchery, Washington"
Spring Creek Fish Hatchery is located between Hood and Underwood, Washington, at Columbia River Mile (RM) 167.5. 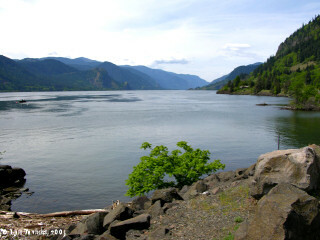 The White Salmon River is located upstream and Drano Lake and the Little White Salmon River are located downstream. On the north side of Washington State Highway 14 across from the Hatchery lies the old Broughton Lumber Mill, the lower, eastern end of the Broughton Flume. Across the Columbia on the Oregon side is the Columbia Gorge Hotel and Wah Gwin Gwin Falls. Adult Tule Fall Chinook salmon return in September and visitors to the hatchery can watch the fish being spawned in mid- to late September. Lewis and Clark passed by the springs located here on October 29, 1805. While they make no mention of Spring Creek in their journals, they did locate it as "c___ spring" on their route map [Moulton, vol.1, map#78]. 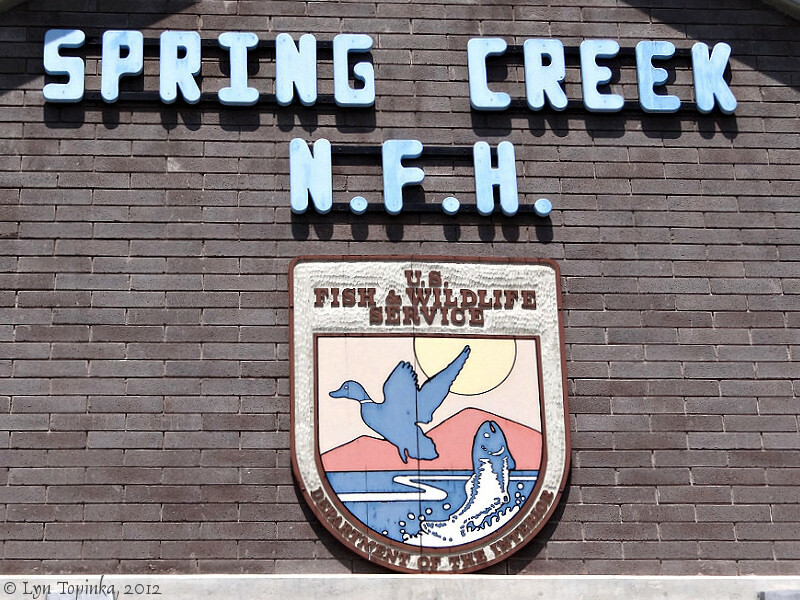 "The Spring Creek site was historically used by Native Americans for fishing. 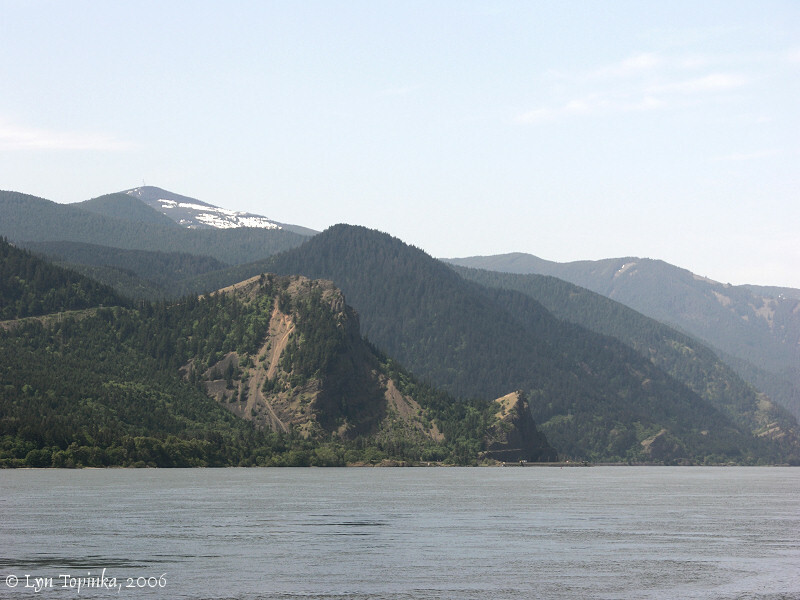 Although explorers Meriwether Lewis and William Clark may not have stopped at the particular park site, they did pass through the area while traveling along the river. At one point, a homestead existed on part of the park property. The site and most of the surrounding area were later owned by the former Broughton Lumber Company. The Broughton mill was established by 1901, primarily as a planing mill which planed rough cut boards. The rough cut boards were cut from raw timber at another mill in Willard, Wash., and then transported by flume to the Broughton mill. 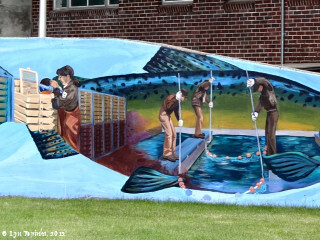 Broughton established the first fish hatchery at the approximate site of the current hatchery in 1901. 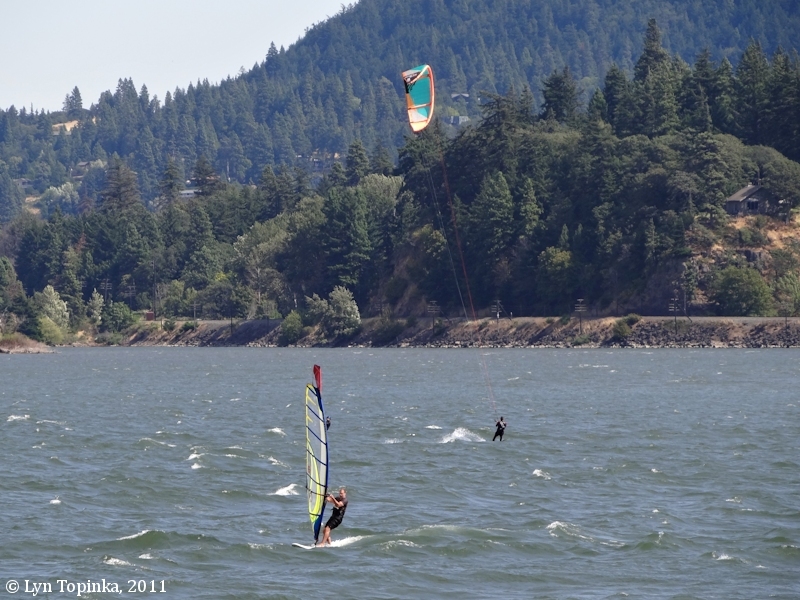 The surrounding area, including the state park, was used by Broughton as a recreation area. 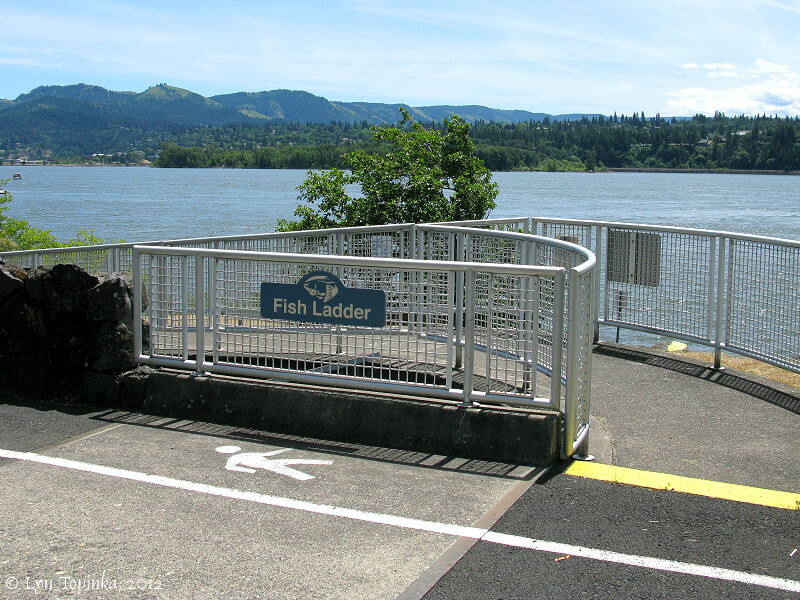 At one time the site included a boat ramp. 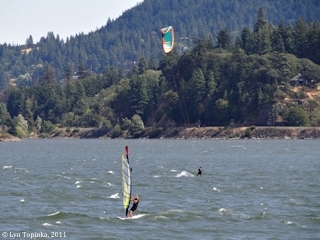 When windsurfing became the prominent recreation activity at the park, management was given to Washington State Parks." Source: Washington State Parks and Recreation website, 2013, "Interpretation and history at Spring Creek Hatchery"
According to the Spring Creek National Fish Hatchery 2010 annual report, the Spring Creek National Fish Hatchery was first authorized in 1887 and 1891 and was put into operation in 1901, primarily to support the commercial fishing industry. It was reauthorized in 1938 and amended in 1946 for conservation of fishery resources in the Columbia River. It was remodeled in 1948 and expanded to its present size in 1972. 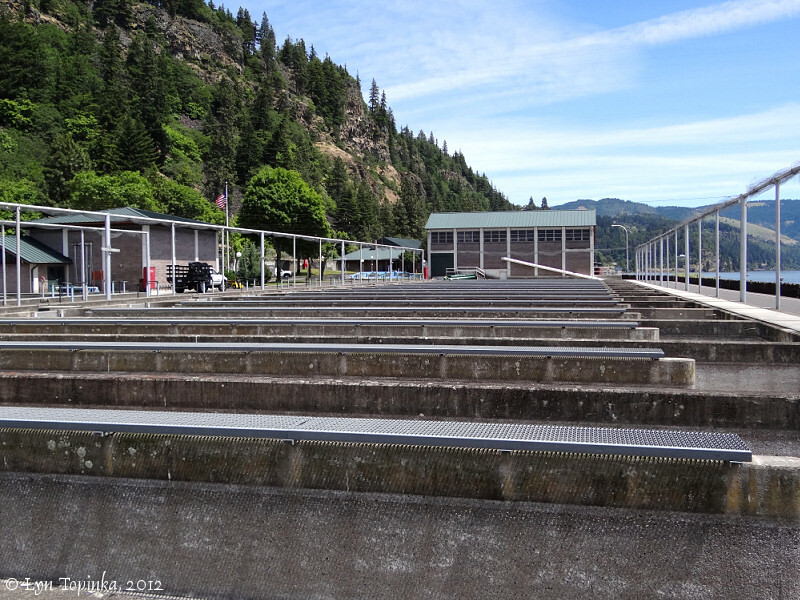 The hatchery is located on over 60 acres in Skamania County, with the primary water supply coming from a series of five unnamed springs located at the base of the basalt cliffs north of the hatchery. 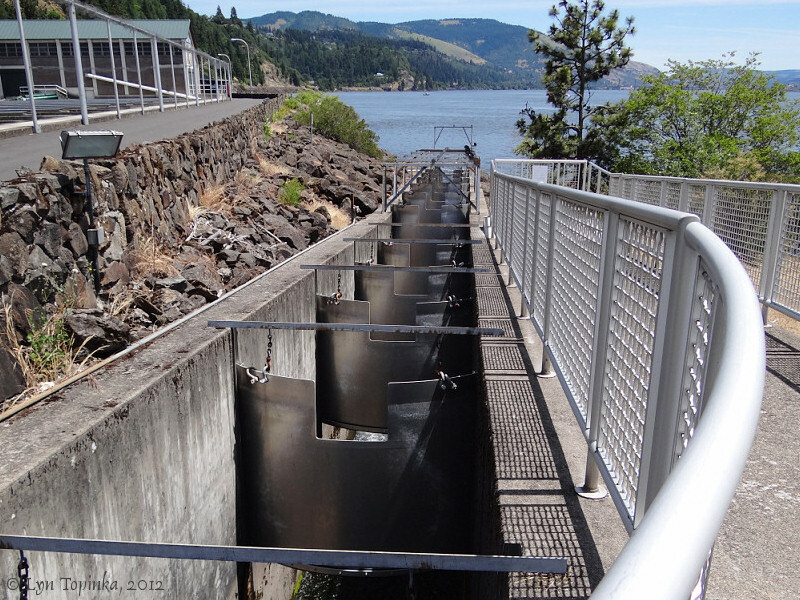 It produces more than 10.5 million tule fall Chinook salmon annually for an on station release. 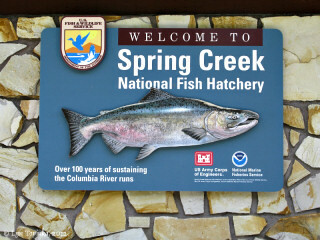 These fish are native and originally spawned in the White Salmon River, located one mile upstream (east) of the hatchery. 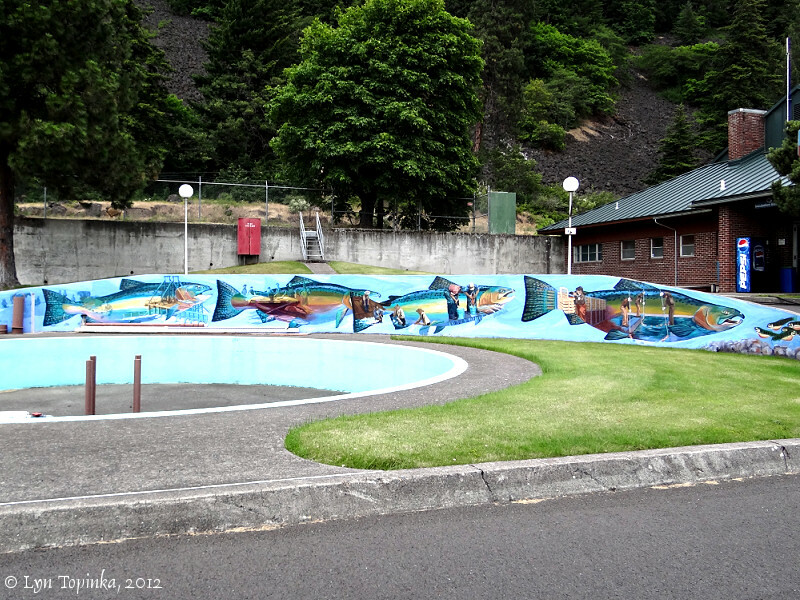 From 1901 to 1938 tule fall Chinook were trapped by seining the mouth of the White Salmon River. 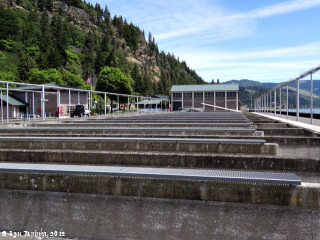 Collected eggs were then transported to the hatchery of incubation and fingerlings were released at both the hatchery site and in the White Salmon River. 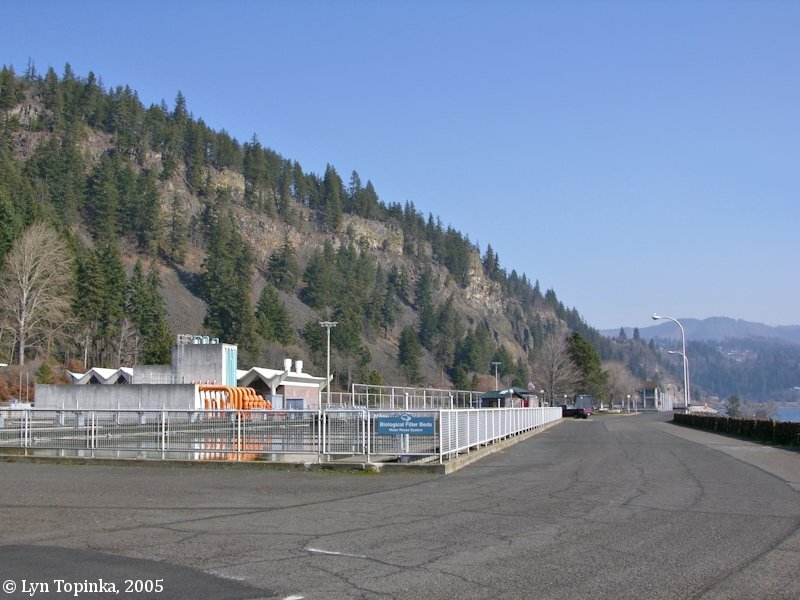 After construction of the Bonneville Dam in 1938 adult collections in the White Salmon River became difficult and by 1964 sufficient number of adults were returning to the hatchery that collection of adults in the White Salmon was discontinued. 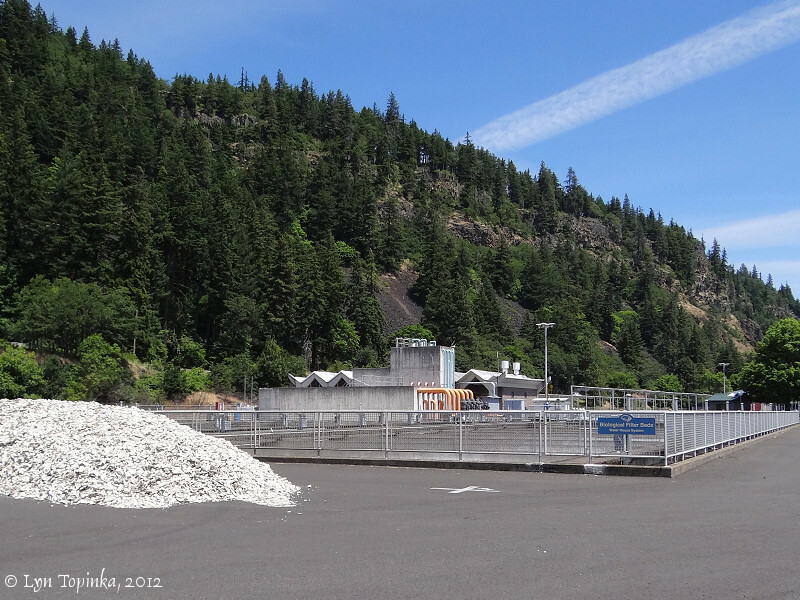 Spring Creek also operates a small substation on the White Salmon known as the Big White Ponds. 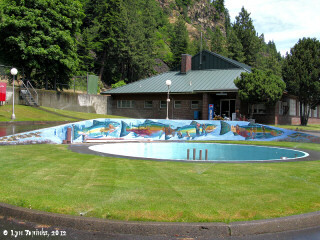 This facility was constructed in the early 1950s and is located one and a quarter miles up the White Salmon from the Columbia River. Oringially the site was used for trapping adults and harvesting the eggs of the tule fall Chinook. 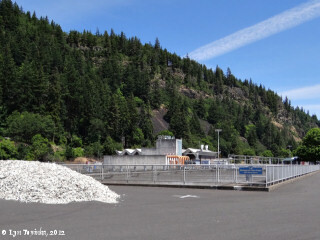 After 1964, when adult trapping was discontinued, the facility was used to raise additional tule fingerlings for release into the White Salmon River. 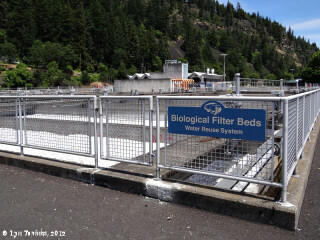 Other species, such as brown trout, chum, Coho, and spring Chinook salmon have also been reared at the facility and released into the White Salmon. 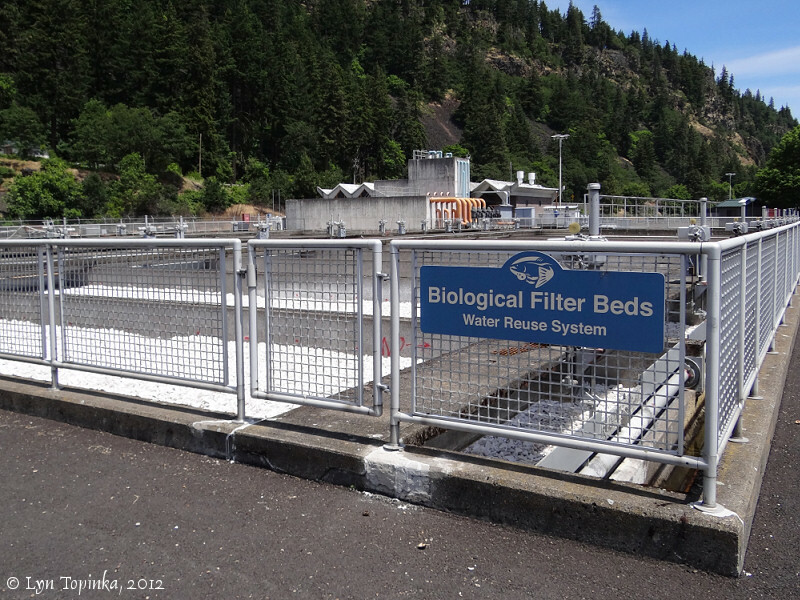 The last release was in 2002, when 170,500 spring Chinook salmon were released. Click image to enlarge Spring Creek Fish Hatchery, Washington. Image taken February 26, 2005. Click image to enlarge Spring Creek Fish Hatchery as seen from the Cook-Underwood Road, Washington. Image taken February 2, 2011. 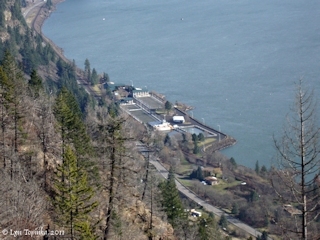 Click image to enlarge Spring Creek Fish Hatchery, Washington, as seen from Ruthton Park, Hood River, Oregon. Image taken November 10, 2014. 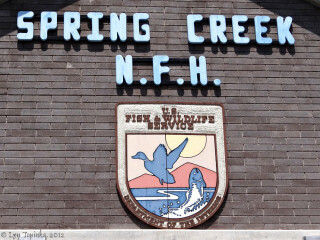 Spring Creek National Fish Hatchery, etc. 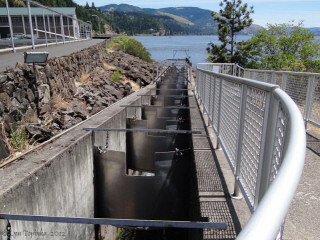 "The Spring Creek National Fish Hatchery uses water from several springs located at the base of the adjacent basalt cliffs, recycling the water through a unique, oyster shell filtration system to conserve water and reduce pollution. Ninety percent of the water used in the hatchery's rearing ponds is recycled." 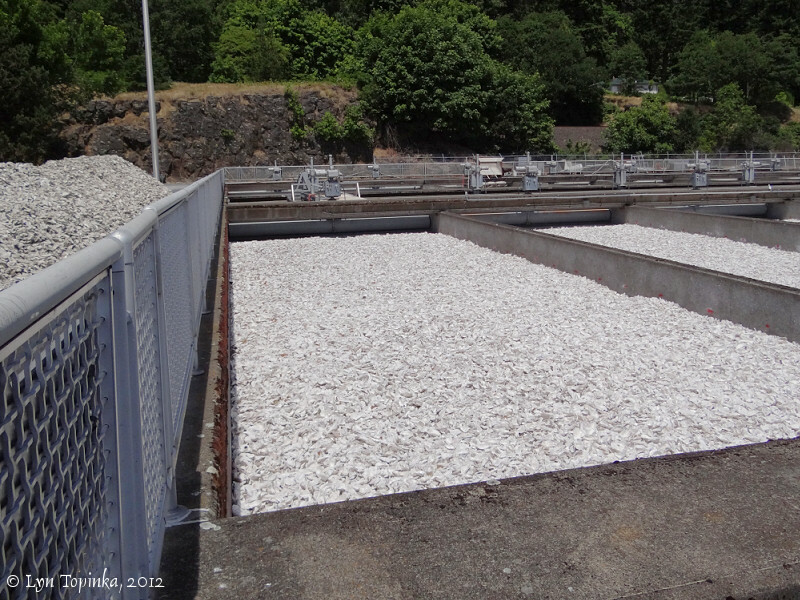 Click image to enlarge Oyster shell filter beds, Spring Creek National Fish Hatchery, Washington. Image taken June 15, 2012. 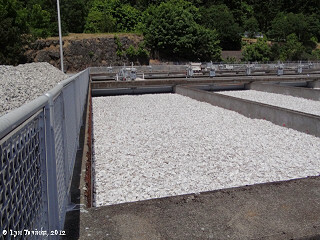 Click image to enlarge Filter beds, Spring Creek National Fish Hatchery, Washington. Image taken June 15, 2012. 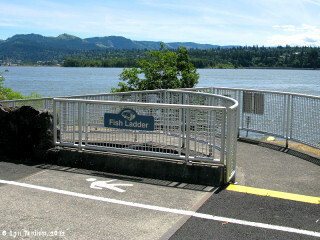 Click image to enlarge Sign, fish ladder, Spring Creek National Fish Hatchery, Washington. Image taken June 15, 2012. 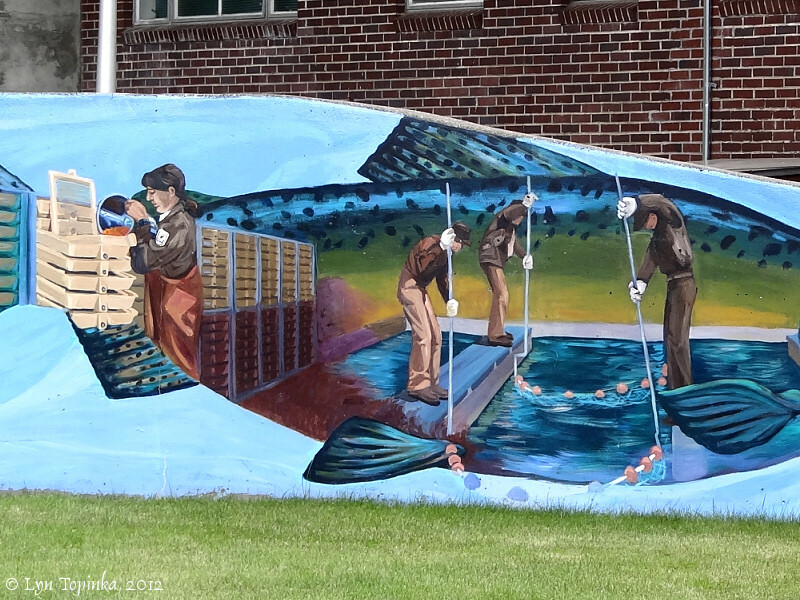 Click image to enlarge Fish ladder, Spring Creek National Fish Hatchery, Washington. 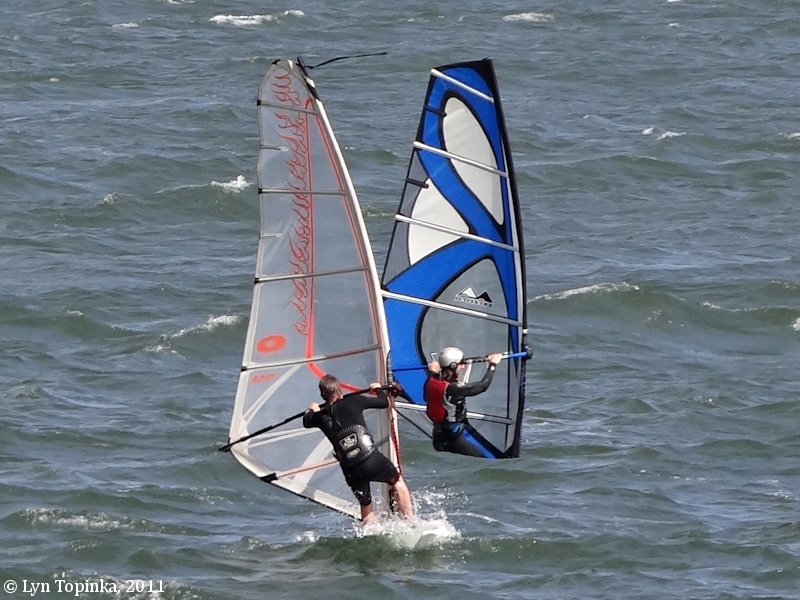 Image taken June 15, 2012. 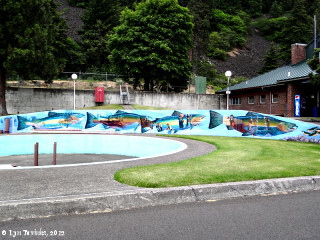 Click image to enlarge Closeup, Mural, Spring Creek Fish Hatchery, Washington. Image taken June 12, 2012. 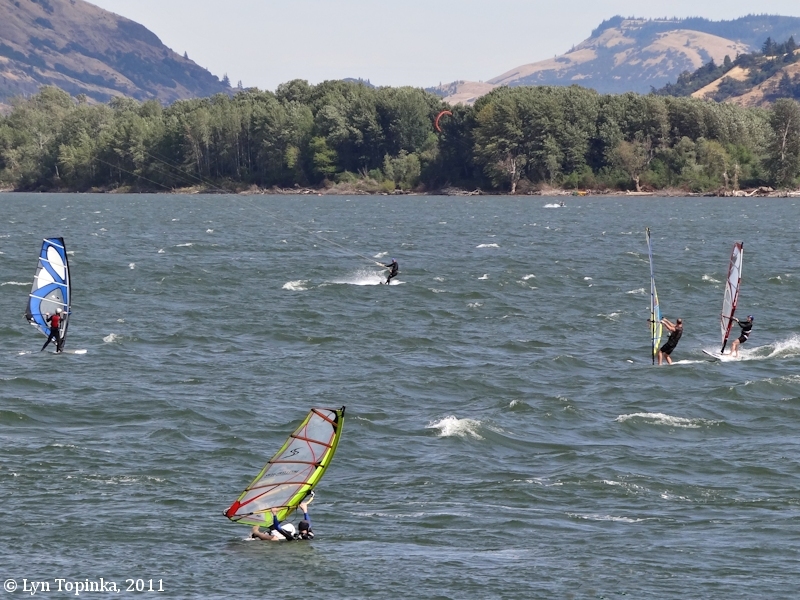 The Spring Creek National Fish Hatchery is located on the banks of the Bonneville Reservoir, known as the "Wind Surfing Capital of the World". The area around the Spring Creek National Fish Hatchery provides nice views of the Columbia River, including the Hood River Valley upstream and Mitchell Point downstream. 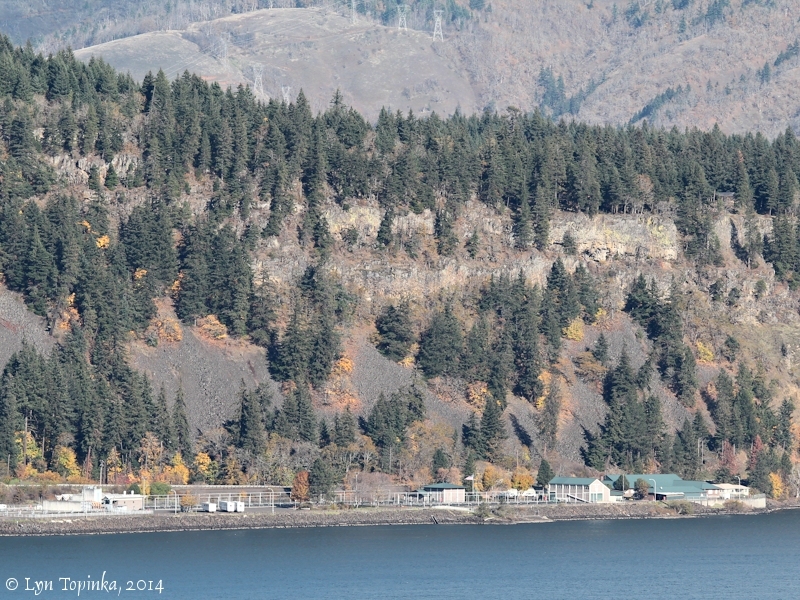 Across the river is the historic Columbia Gorge Hotel. Click image to enlarge View downstream from Spring Creek Fish Hatchery, Washington. 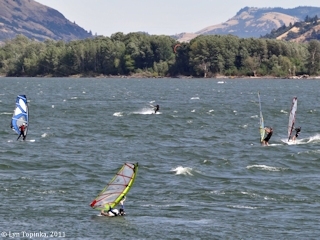 Mitchell Point, Oregon, is on the left. Image taken May 1, 2005. 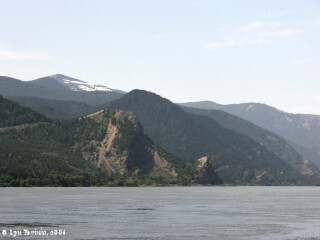 Click image to enlarge Mitchell Point, Oregon, as seen from near Spring Creek, Washington. Image taken May 10, 2006. 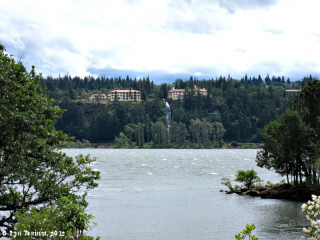 Click image to enlarge Columbia Gorge Hotel, Wah Gwin Gwin Falls, as seen from the Spring Creek Fish Hatchery. Image taken June 12, 2012. 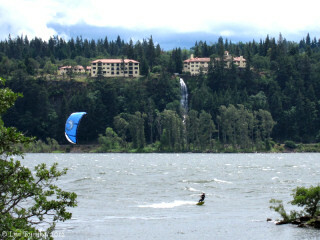 Click image to enlarge Columbia Gorge Hotel, Wah Gwin Gwin Falls, and sailboarder on the Columbia River. View from Spring Creek National Fish Hatchery. Image taken June 12, 2012. Click image to enlarge View upstream from Spring Creek Fish Hatchery, Washington. 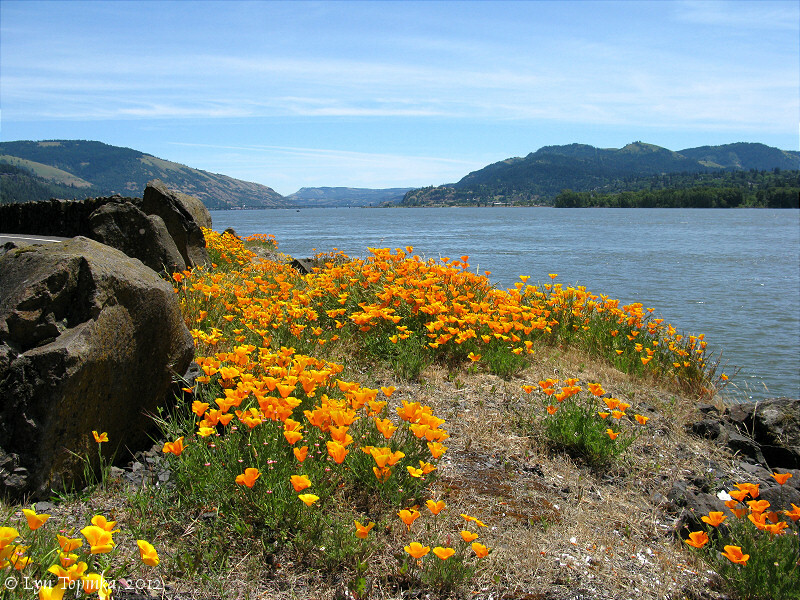 Hood River, Oregon, is in the distance. Image taken June 15, 2012.